You must make reservations at least 5 minutes in advance of the time at Granville Moore's. Metered parking out front and on the side streets. DO NOT park in the Autozone Parking Lot. They will tow you! The closest Metro station is Union Station via the Red Line. Or walk north up North Capitol and catch the X2 Bus on the corner of North Capital and H Streets, NE. We have weekly beer classes as well as monthly beer centered events. Check our website www.granvillemoores.com/events-happenings for more information. Granville Moore's is a restaurant with a healthy Belgian fetish, located in the heart of H Street North East (or the Atlas District). We are known for moules-frites, steak au poivre, delicious brunch and an impressive selection of Belgian-style beers - which include umpteen 750ml bottles, rare Trappist beers and inspired randomness from around the globe (and of course some local beers too). We really enjoy beer, food, our guests, our staff, and our neighborhood. We’d love for you to be a part of the enjoyment! 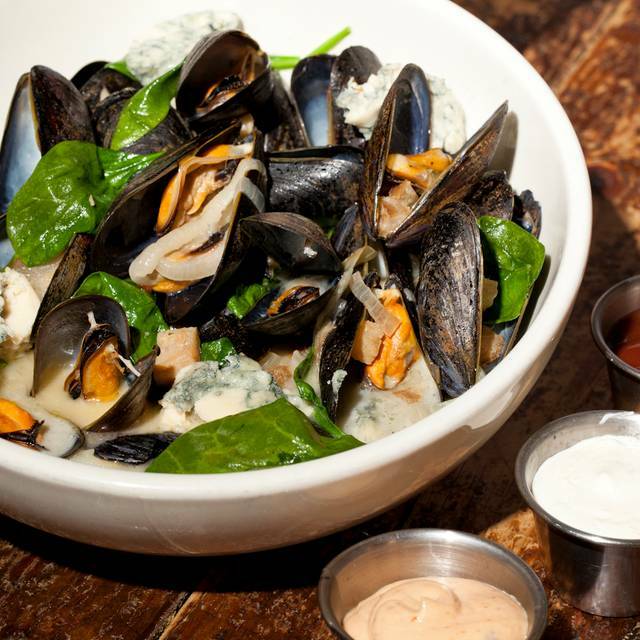 $19; 10 years Washington City Paper's Best Mussels in DC! Kind of a hide-away on H between 11th and 12th. Small with 2 stories and in a very old building. If you like a European pub like feel, this is the place. If you are a germophobe, you might feel uncomfortable. Our table was a little sticky and quite wobbly. Mussels were great and the beer selection is impressive. Our waitress was experienced and didn't write anything down, but our order was delivered to us without flaw. Nothing exceptional, given all of the great choices in DC, but it was fine. They have a loyal following as the place filled up quite quickly. I enjoyed the mussels and picky eater companions all found food to their liking. Still one of the best restaurants in DC. Amazing food, their special menu for the Cherry Blossom festival is awesome! Do NOT skip on the ribs, they are To Die For!! Also, all the special cherry beers and the flight are worth sampling, but honestly to crank one superior food across the board while providing excellent front of the house service (Jason is a rock star!) is why I keep and will keep coming back to GM's so long as their doors stay open. The lack of parking in the neighborhood is the ONLY reason I have for a less than stellar review. Call me old-fashioned, but I drove there. And then I circled multiple blocks for 30 minutes until something opened up. Many side streets are for residents only, and H Street itself is wonderfully busy. The result is that parking is abysmal. If you go, and I recommend you do, use ride-sharing or public transportation. Had brunch here with friends. We enjoyed a couple pitchers of mimosas and the hash is always a winner. The waffles didn't really do it for me though--they were on the dense side, but that's a personal preference thing. A great place for a small group in a genuinely quirky atmosphere. From the outside, this place can be extremely intimidating, but once you walk through the door and try the food, you’ll find it worth the trip. This is a dark, moody mussel and frites bar. I haven’t tried much else, but this is what people come here for. The sauces and broths are fantastic. They have specials on certain days and we happened to go on all-you-can-eat night. We definitely got our money’s worth. Oh yeah, there’s also the extensive beer menu! Granville Moore’s is back! After a multi-year hiatus, we have visited twice recently and they have recaptured the magic of their early days. 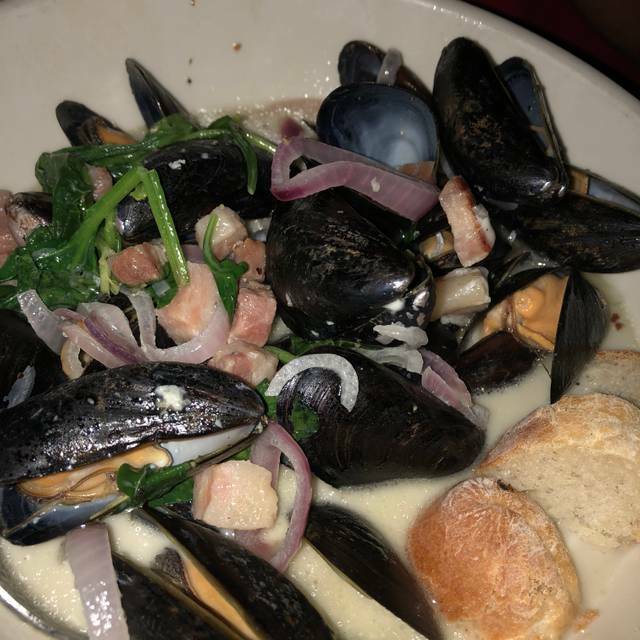 The mussels are as good as ever. We brought a group of 8 from out of town and everyone raved about their entrees, the fries, and the dipping sauces. We’ll be back soon. Always a great time! This is a perfect little down the street and down to earth restaurant. Great food and great service. Go! Great food, great drink selections, and extremely helpful and warm staff. Great beer and mussels what else do you need to hear. Really excellent spot to take out of town friends and show them a good time! 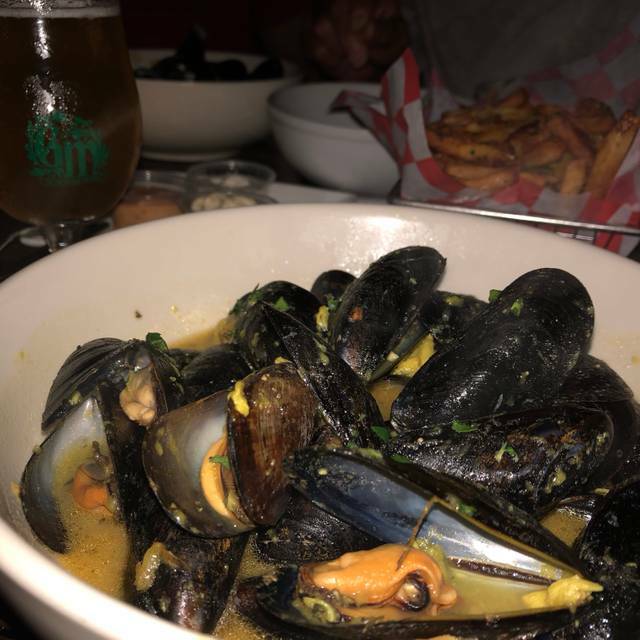 Mussels and frites are the best. Great draft beers. This place had a wonderful small tavern atmosphere with high quality food. 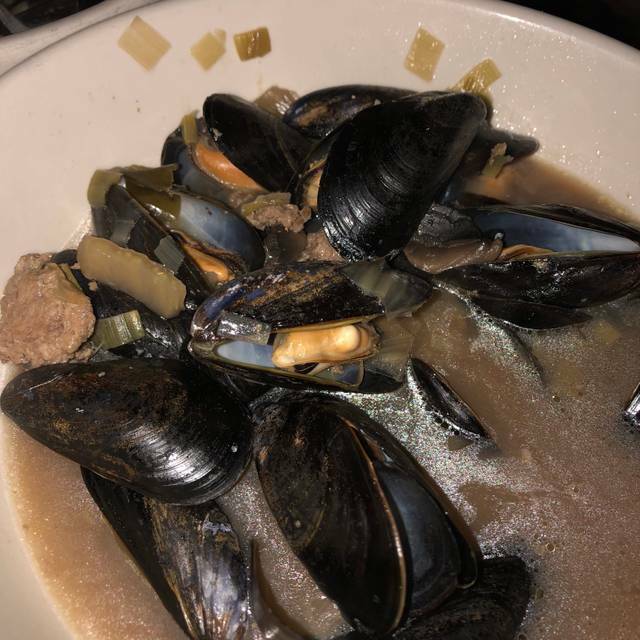 The mussels were cooked to perfection and the portion size was large. 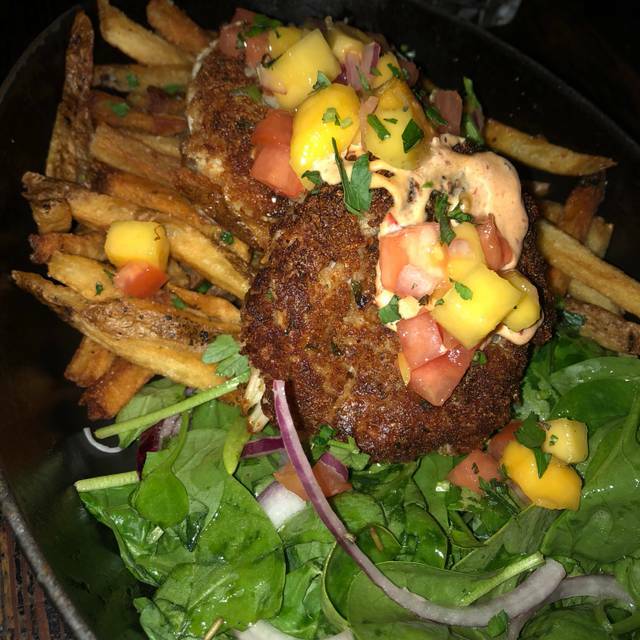 The fries were outstanding as well. Was one of the few highly rated restaurants I could reserve the day of, and they did not disappoint. See you next time I am in DC. We went there on a Monday night. It is a real bargain. 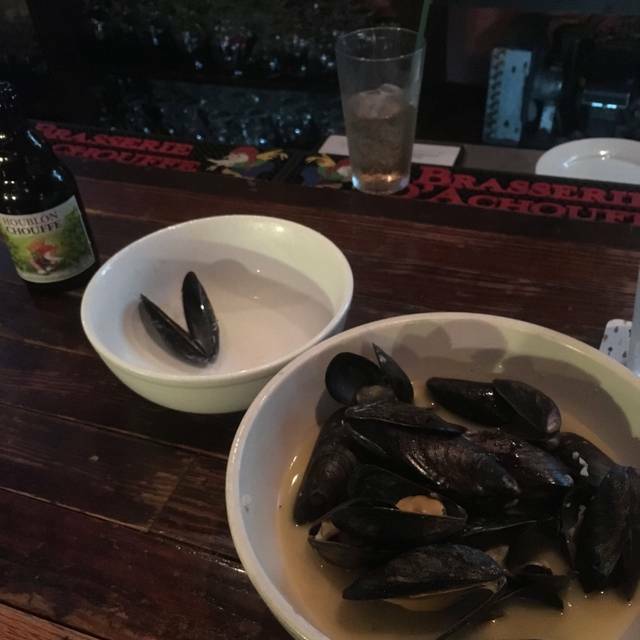 The mussels, which are usually $19 for a large portion, are $12 for the same size. We tried three different kinds and they were all delicious. I ordered the one with mushroom and while it tasted very "mushroom-y" there were no actual mushroom in the sauce. When I mentioned it to the server became back several minutes later with a new bowl of the sauce with a pile of various, wonderful mushrooms. I wasnlown away. My only criticism of the place is how hard and uncomfortable the benches and chairs are in thebar area downstairs. Maybe they are better upstairs. The food was very below average it was our first time there and we won't be going back the steak tasted awful was undercooked like way undercooked, the mussels were just average not even close to good (they were brought lukewarm and sauce watery and not that flavorful) like we're used to having and that's supposed to be their specialty. The bread they serve with the mussels my significant other called it supermarket bread. Normally one receives toasted or warm bread to dip in mussels. We just had high expectations because of other reviews. And usually management would come around and at least apologize up and down for the very poorly cooked bleeding raw steak. When things like that happen it just messes up your flow of your dinner and the whole experience in general and by the way when they recooked it we got the same steak back and it was not really much better cooked at all and served on the same greasy tiny amount of fries on the bottom. A better restaurant would redo the whole thing right and serve you nice hot plate of properly cooked fresh food. The server was a nice young lady but a manager should have seen to it we received a properly cooked new steak with fresh everything or even had that part of meal removed from the check. My significant other doesn't like to make scene so after it came out a second time still undercooked, tasting awful he just said we will just not come back. Our 3rd visit here...cant say enough great things about Granville Moore's! Already looking forward to our next visit! Always love Granville Moore’s. We usually go for yummy mussels and great beer in the evening...this time we tried Sunday Brunch...outstanding! Great food and vibe but service was sub-par. They may have been short staffed the evening of January 26th. Had a dinner reservation for two. Upon arrival hostess informed us that there was a one hour time limit for the tables. Sure enough after we had been there an hour and 15 minutes, she reminded us about the limit. It was a rude and unexpected policy. Service was very good otherwise. Mussels and fries with assorted dips were delicious. I love Granville Moore’s. 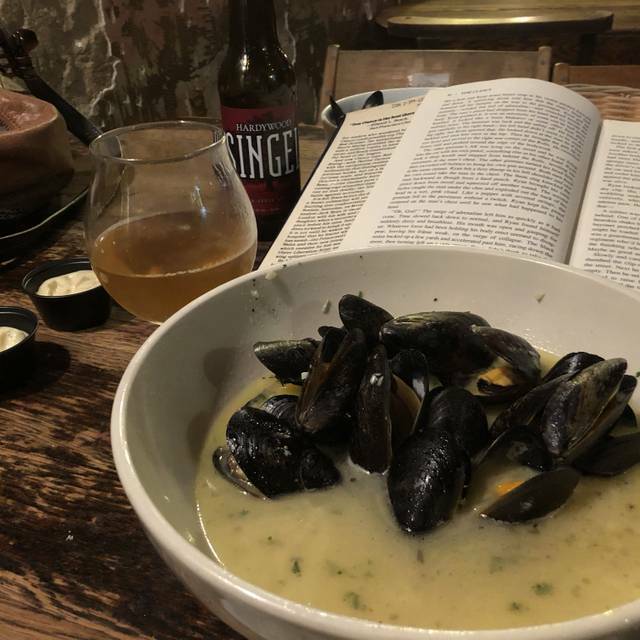 They have amazing Belgian style beer, mussels, and other things in the kitchen and are completely unpretentious and delightful. I would go here seven days a week if I could. A true local gem. Nice grungy bar vibe. Interesting menu from salads to mussels. Excellent coq au vin: tender, juicy legs with caramelized skin. An unusual but delicious reuban sandwich . Bar tender waited on our table and did a nice job. Skip the heavy-handed dessert waffle, however. Will definitely go back again! My family's favorite spot for moules et frites! My 3rd time here and it didn't disappoint. I have been going to this place for years and it never gets old. The ambiance and the food is great! We took my husband there for his birthday, and it was wonderful! Do not dine here with a date or if you wish to linger while enjoying your conversation, the drink and food. The staff here told us they wanted to "turn the table," and treated us as if there was an unpublished rule that we must drink, dine and leave our table within 90 minutes. It was a rude and unprofessional way to treat paying guests. If that is how they run their restaurant, they should publish that - - I never would have dined here if I knew this in advance or that their servers would be so offensive. Others should be forewarned. I and a date arrived yesterday, a Saturday, on time for a 5:45 reservation. A last minute reservation, every time slot on OT was open. Tables were empty when we arrived. We stated we wanted to have dinner and drinks. We ordered a round from a small but well curated ale list, each of which was excellent. Enjoying the drinks and each other's company, we hadn't really focused on our food order and were content proceeding at a measured pace. At 6:45 a server was quite insistent we order food, we pleasantly said we had been enjoying our conversation so much that we just hadn't yet read the menu. This was a date, after all. Five minutes later the hostess approached and told us they wanted to "turn the table" because they had 7:15 reservations. I told her I was surprised at her directness, and then we decided that if they wanted us to leave, we would. Seriously - - you're supposed to be good at your job. If you want me to order food quickly, charm me into doing it, entice me with a description of your delicious specials, but don't bully me. I always love a good burger and beer from Granville Moore's and of course, you cannot forget their delicious fries. 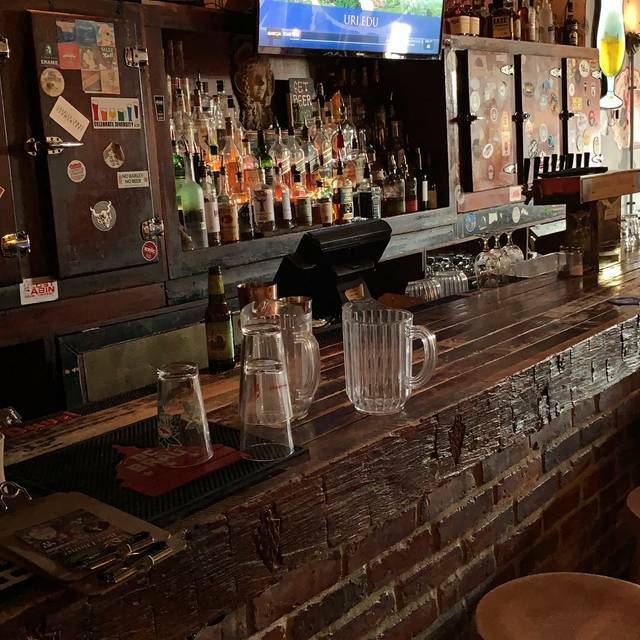 If you're looking for a great spot to grab a beer and hang out with a friend this is the place for you. I would also highly recommend making a reservation, however, when there is no host and only two people working, reservations don't exactly make sense since they do not check for them. I arrived with my boyfriend, saw an open table and grabbed it, we waited 15 minutes and had not been given a menu or water. We finally went up stairs when we noticed the bar opened up. The upstairs had also been slammed. Working in the restaurant industry in DC, I completely understand being busy, but management might want to work on not being understaffed as we also waited at least 15 minutes upstairs and I grabbed the menu's myself... That's 30 minutes before an order was even taken... My boyfriend and I were in no rush, but for those that have no patience, they would have walked out. We ate here four years ago and it was fantastic. It was horrible this time. frites were soggy. Cassole was more of a soup and mostly broth. My husband had the trout and got very, very sick later that night. If you’re looking for a mussel place; this is the place to go!